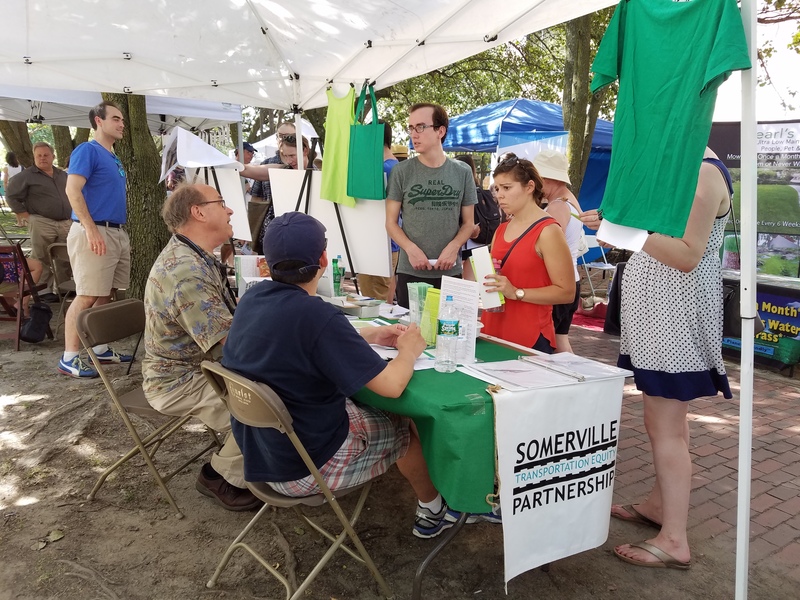 We always enjoy talking with everyone who drops by the STEP booth about what’s happening with the Green Line Extension – and everything else related to better transportation in Somerville. Happy Artbeat! Thanks to all who dropped by the STEP booth yesterday. 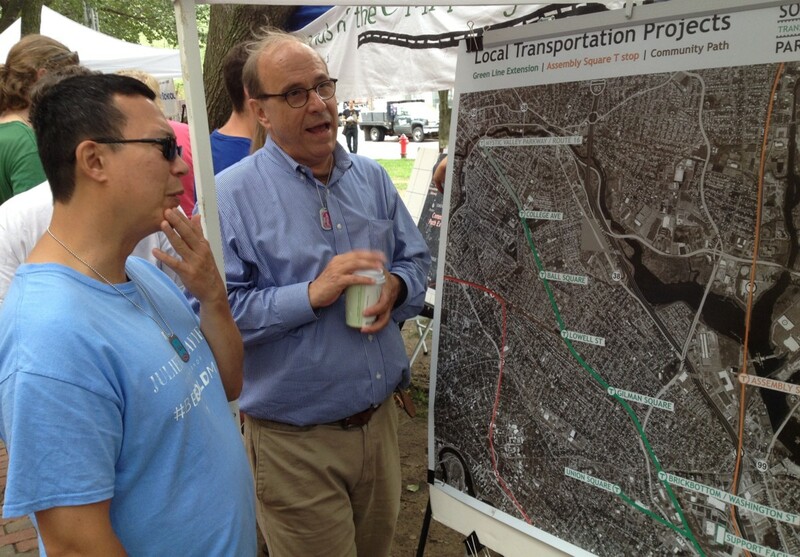 It’s clear that Somerville is packed with people who support the Green Line! Keep reading for more photos. 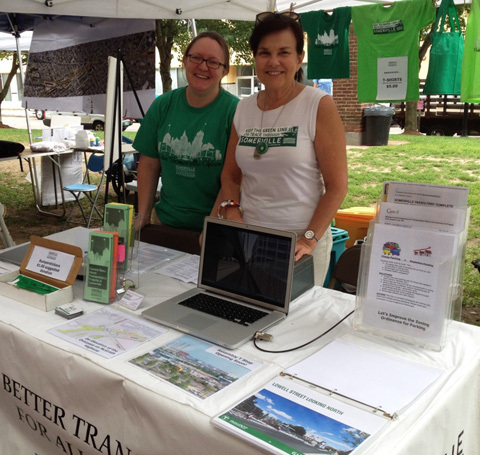 STEP talks transportation at ArtBeat! 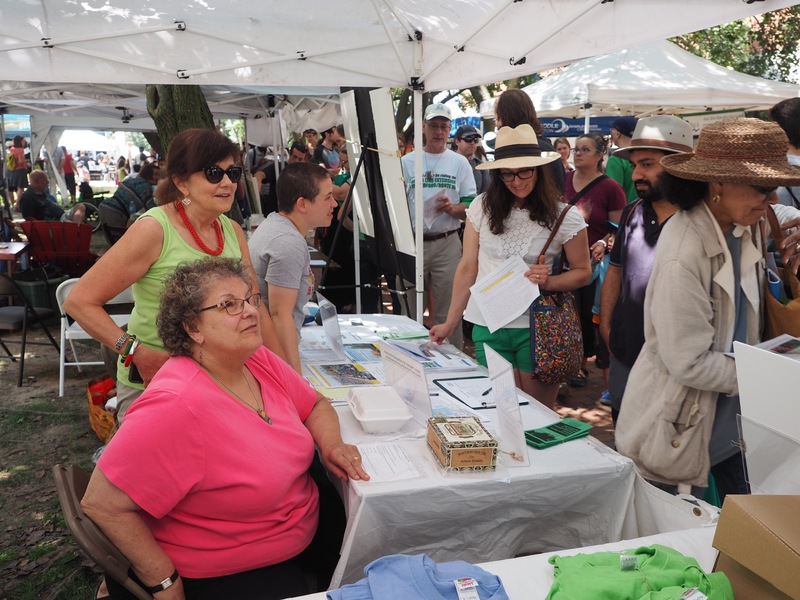 Thanks to everyone who dropped by to visit STEP at ArtBeat this year! 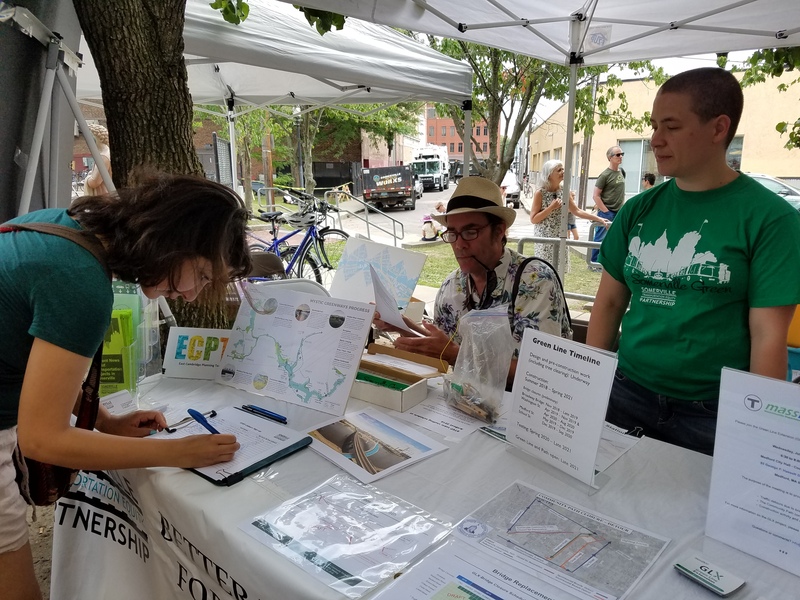 We had a great time talking about the coming Green Line, the about-to-open Assembly Square stop, the eventually grounded McGrath Highway, and so much more. Keep clicking for more photos. 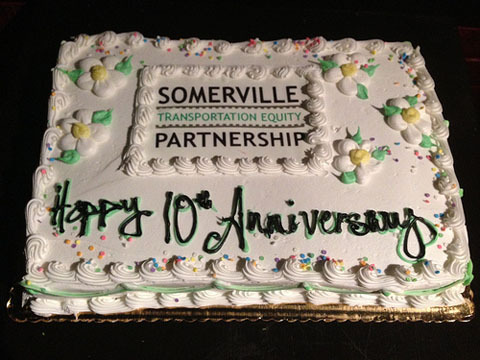 Ten years ago STEP came into existence to advocate for better transportation options in Somerville. One big focus was to ensure that the Commonwealth meets its legal obligation to construct the Green Line Extension. While we are still not able to board the Green Line in Somerville, progress is being made and we will continue to work toward its completion. A new Orange Line Station will open at Assembly Square in 2014, the first new transit station in the region in 25 years. 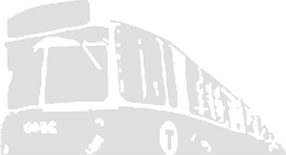 We want to extend a special invitation to you for your advocacy and work on the Green Line Extension and other important Somerville transportation improvements to celebrate our anniversary with us on May 20th – at Precinct in Union Square (back room) 7:30 – 9:00 pm for music, appetizers, and cash bar. Before the festivities, we will hold our annual meeting from 7:00 – 7:30 to vote in steering committee officers for the coming year, pay annual dues, and other administrative business.